What kind of person would hack a beautiful animal like this to death with an axe? How about Ned Kellys Uncle? There’s been a lot of angry reaction to my recent posts about criminality in the Kelly clan. People hated looking at that photo of the young woman with the smashed-up face. 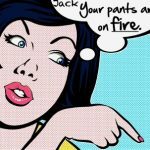 But I chose it deliberately – to make plain the unattractive reality of the Kelly clan domestic violence that people don’t want to look at, that they ignore which not too many people are even aware of. They only want to talk about police violence and so we hear about it all the time. Take, for example the huge fuss thats always made over the fact that while violently resisting arrest, Ned Kelly had his balls squeezed by Lonigan. Absolutely everyone knows about that – but where have you ever read them condemning the drunk lecherous brother who felled his innocent sister with a cowards punch? Where is their anger about an attack that could have killed her and that left her face disfigured for life? Where’s their anger about a drunk burning down a house with thirteen children asleep inside? “These things happen in the Kelly clan” was Peter Fitzsimons disgracefully flippant remark on the subject. “Drunk and amorous” was about all Ian Jones had to say about it. But the testicles of saint Ned – oh my god, anybody who dares so much as to even touch those sacred balls deserves chapters of condemnation – and being gunned down at SBC was barely sufficient punishment! The double standard is too obvious! Almost nobody else has been willing to point out the awfully corrosive effects that these documented acts of violence, such as arson and violent assaults would have had on the developing minds of Kelly clan children – and the documented violence was just the tip of the iceberg. Nobody wanted to have it pointed out to them that it was clan violence against its own members that caused police to take an interest in the Kellys, because they wanted to be able to go on believing that police interest in the Kellys was harassment and persecution, that the Kellys were innocent victims of police corruption. 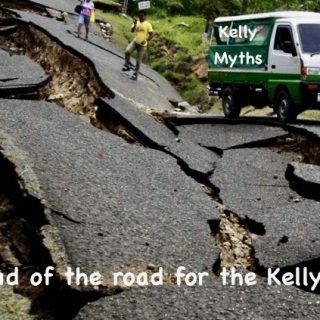 And this is the whole problem with the Kelly legend – it only wants to tell half the story, it relies on suppression and the deliberate avoidance of known inconvenient facts, and the construction of stories that fall apart when examined closely. But clearly, when you have one clan member burning a house down, another punching his sister in the face and disfiguring her for life and a neighbour being so badly bashed up that he was lucky to survive, police interest in maintaining law and order is not just perfectly legitimate, its what you would want to happen. These facts expose the absolute absurdity of the Kelly claim, that their problems were all the result of unjustified harassment and police persecution. Such a campaign never existed except in the minds of people who chose to believe Ned Kellys excuse, his refusal to accept responsibility for his own actions, his life-long habit of blaming someone else. In fact, these facts show that the misery of their lives was mostly self-inflicted. The Kelly legend would also have you believe that the clans enemies were the police and the squatters, and that the clan supported and championed the cause of the poor, of selectors and poor farmers like themselves. However, we have already learned that clan members attacked and abused each other, and that clan women were often the direct victims. This violence would also have made innocent victims of the children in these families, Ned Kelly included, because it’s now well established that living in that kind of environment and witnessing such acts harms a childs emotional and psychological wellbeing and development. But apart from harming each other, and their children, the clan also attacked working class poor like the splitter John Page who was bashed to within an inch of his life by James Quinn. 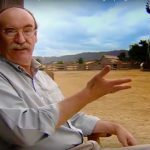 This post is about another selector who suffered at the hands of the clan : William Barnett. This story reveals yet another dimension to the violent and vengeful behaviour of the Kelly clan. If you want to read for yourself the entire original Court report that was published in the local newspaper, go HERE. Don’t waste your time going to the usual Kelly books – they all left it out, no doubt because it doesn’t fit the story they want to tell you that the Kelly clan were terrific people who were picked on by police. What happened was that one day in 1872, William Barnett, a Greta selector like the Kellys, rounded up six horses that had strayed onto his land and was taking them to the pound. The horses belonged to Ned Kellys uncle John Lloyd, who was also the father of Neds close friend, cousin Tom. There was a confrontation on the road, and the Lloyds took their horses back. Something similar had happened with cattle, and ended in Court in 1869 – so there was obviously bad blood between these two selectors. This time Barnett ‘summoned’ Lloyd over the ‘rescuing’ of the horses – he was obviously getting fed up with Lloyds stock repeatedly getting onto his land and he wanted something done about it, so commenced legal proceedings on the Thursday after the Lloyds had taken their horse back off him. In Court Barnett told how on the following Saturday he left one of his horses in a secure paddock but on Sunday morning the horse was dead. It had been taken out of the paddock where it had been left, and attacked with a knife or an axe. It bled to death. “Mr O’Brien, myself and others tracked the blood from where the horse was lying dead up to the prisoner’s door—the distance is about ten chains. I tracked blood from the carcase to within three yards of Lloyd’s house. By his Honour : There was blood all the way? “Constable Flood sworn : on the 22nd December the horse was pointed out to me dead ; it was covered with cuts from the head to the tail; the blood was dry on it ; but it appeared to have been recently killed ; the rope produced I found round its neck ; I found traces, rather indistinct, from where the horse lay to Mr O’Brien’s for about 30 or 40 yards ; there was a large quantity of blood there as if the horse had stood still for a time ; I then found tracks of the horse as if coming from Lloyd’s house ; I found them but they were indistinct for about three parts of the distance in the direction of Lloyd’s house, but from this point they were very distinct, and there was a large pool of blood at the door of prisoner’s residence. five feet from the door. Re-examined : I found no traces of a horse going towards Lloyd’s from the paddock, but it was grass land ; there had been rain a day or two before, but it was drying up again, yet a horse could have been tracked ; I knocked at Lloyd’s door, and asked what put the blood in front of his door ; he said it was brine marks ; I asked him to show me the brine cask which he said had been emptied there ; prisoner refused, saying, “go and get a warrant ;” I observed blood on the shirt and trousers produced ; he told me that he had cut himself reaping; he denied ever having a rope like the one produced ; he showed me a very slight cut on his thumb. Mr Ryan deposed : I am a ploughman ; I was at prisoners house before the horse was killed ; I saw a rope there similar to this and with a knot like what is on this. “His Honor summed up, pointing out that there was no doubt that the horse had been wilfully, maliciously, and brutally killed, whoever did i ; he went briefly through the evidence, and left it to the jury to decide whether it was sufficient to convince them that the prisoner had committed the offence. What they had to consider was powerful circumstantial evidence that Lloyd had killed the horse – there was an ongoing dispute with its owner, the rope around its neck was distinctive and Lloyd was known to have similar rope, there was a blood trail leading to his house, and Lloyds shirt and trousers had blood on them. In his defence Lloyd denied it was blood in front of his house and said it was ‘brine’ but was unable to produce a brine cask, and he said the blood on his clothes came from a cut finger. The court adjourned for half an hour, and on re-assembling the jury brought in a verdict of “Guilty.” A former conviction for cattle stealing was put in, and admitted by the prisoner. 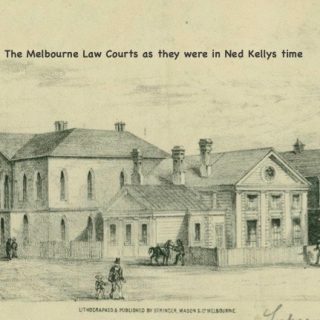 How interesting that in 1872, when according to the Kelly myth the campaign of harassment and persecution of the Kelly clan was supposed to be in full swing, the Court knocked six years off the sentence – such facts are of themselves more or less fatal to the Kelly legend of police persecution and harassment – a golden opportunity for the corrupt system to put away a clan member for ten years – but instead they only gave him four! The reason I am writing about these crimes is not merely to demonise the Kelly clan. The point of these posts is to show that the historical truth, as recorded in the court reports from the time is the opposite of the image the Kelly mythmakers like to present about what was happening during Ned Kellys childhood. They like to pretend it was dominated by harassment and persecution by corrupt police but thats not what the evidence shows. 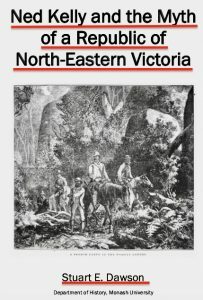 The point of these posts is to expose the fact that the environment that Ned Kelly grew up in was not of persecution by police but one of drunkenness, domestic violence, and criminality within his own clan, criminality that extended beyond it to neighbours and fellow selectors, and sadly, even to innocent animals. No wonder the Kelly devotees are squirming, and getting their sequined knickers in a KNOT, which makes me wonder how your book of blogs is going, Dee? Those blogs need to be published because they are doing irreparable harm to the rubbishy Legend. Morrissey and MacFarlane think an axe was used (maybe because slashing at a horse with a knife could be possibly dangerous). Ian MacFarlane is pursuing the four stolen horses police located at the Baumgartens. These were taken to police paddocks at Wangaratta, where they were stolen again. This time they were found in a lagoon beside the Murray with their throats cut, brands removed and set on fire. 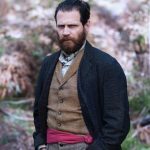 The Kelly Gang was good at destroying evidence, but so far Ian can't find a document with Ned present with a knife and a box of matches. But the gang were the sole beneficiaries. He has found a total of 11 horses in that time frame so far decapitated or otherwise mutilated in or beside the Murray nearby. Like the Judge above, I am sickened and disgusted with the way these animals were butchered and slaughtered. Yes I have given some thought to the idea of a book but actually, my Blog posts are already published – right here! But instead of thinking of the Blog as doing irreparable harm, I like to hope its doing enduring good, in helping to ensure history is correctly recorded. Thanks for that information Roy. Is it going to be Published somewhere ? Perhaps in Morrisseys promised next publication? No plans yet, Dee. Ian hasn't finished his research yet. A pal suggested the Baumgartens also benefited from the horses that disappeared – even if they were only receivers rather than horse thieves. 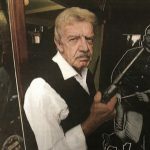 One of the Mrs Baumgartens called the coppers when she saw the Kelly Gang riding past her place after Stringybark Creek. The cops missed them at Bungowanna. They were hiding in rushes, the Murray being in flood. One might be able to say, by then, the Baumgartens were no longer fans of the clumsy Kelly horse duffers. The killing and mutilation of the stolen horses makes the Kelly Gang look like complete creeps. Not a single word about these animal atrocities in Jones, FitzSimons or any of the earlier pro-Kelly volumes. How disgusting! 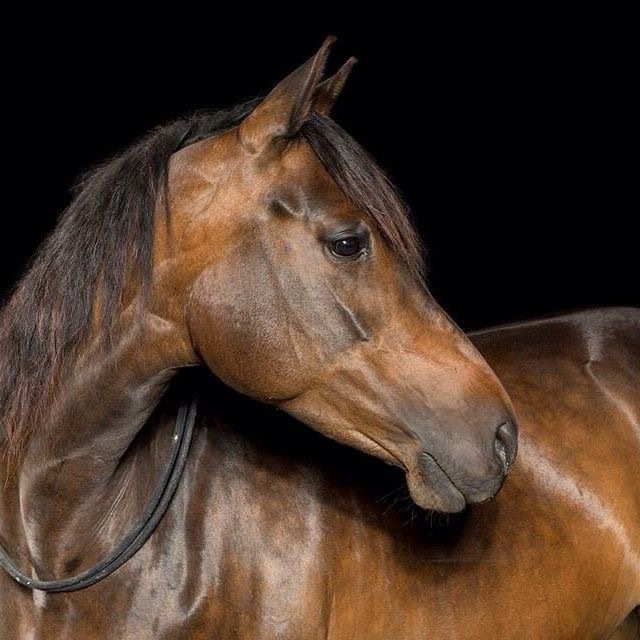 A horse could easily have its throat cut when offered a feed. Decapitated? That would take lots of effort. You wonder why these horse mutilations and cruelty are not mentioned in the pro-Kelly literature. By and large, Aussies love animals and despise people who hurt, maim and kill them. 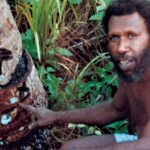 Does the Baileys Vineyard at Taminick where the Ned Kelly Centre fundraiser is being held know about this disgusting history? They should cancel the booking. The descendants should hang their heads in shame and shut up. The plan by an outlawed bushranger gang to murder a train full of police is not something to be celebrated.